We help our clients reach their individual goals with comprehensive bookkeeping and payroll services. Alexa Gregory is an experienced accounting professional who can ease your bookkeeping headache. We work with three types of clients offering different levels of support. Which type of client are you? We work together to grow your business. We work side by side sharing the responsibilities. We give you the tools so you can rock it as a team of one. Alexa has been the director of finance for our small business for nearly 10 years, so I’m in a good position to say that there is no one more conscientious, detail-oriented, or fastidious about accounting than Alexa Gregory. Alexa produces reports that drive to the most granular level of analysis, providing excellent tools for decision support and management. I’d recommend her wholeheartedly as a ProAdvisor. You’d be lucky to work with her. We are a small non-profit and I had lost a years worth of QuickBooks data from my laptop additionally our backups refused to open. Alexa saved us by getting the info transferred to QBO and our books up to date! Alexa was extremely proficient and responsive. She asked me specific questions related to my business and helped me to get my daily bookkeeping entries on track. Exceeded my expectations for sure! So happy to have found her. Alexa provides the bookkeeping services for a mutual client where I’m the CPA. Alexa is attentive to her client’s needs, efficient, accurate, and easy to work with. I’d highly recommend her services to others in need of bookkeeping services. Alexa helped my small firm get set up in QuickBooks and is keeping up on regular updates. This process went so smoothly and quickly that I wondered why I hadn’t done it sooner. Alexa made it all seem even easier and intuitive which was a huge plus. I highly recommend Alexa as a QuickBooks power user! Plus, she is very patient and supportive. Wonderful improvement for my work. Alexa’s a pleasure to work with! She’s calm, smart, caring, conscientious, full of integrity, and multi-talented — from numbers to operations to websites to group dynamics to HR. I recommend her highly. Details! Precision! Humor! Could you ask for anything more from a bookkeeper?? Alexa is it! She is a life saver in that she keeps track of everything and helps me make sense of all the numbers. I couldn’t run my business without her. She is the BEST! And a really lovely person to boot. She’s always responsive and quick to answer questions, and she’s incredibly patient with everything. She’s a gem. Alexa is a valued professional colleague, expert in her field, a dependable and insightful thought partner who is detail oriented yet sees the big picture. She anticipates needs and finds creative, cost-effective and time-efficient solutions. In crazy deadline projects when everybody else is having tantrums, Alexa is the calm center that just moves things forward. Alexa is so great! Super organized, patient and calm. I appreciate her attention to detail. I feel like I am a priority. So glad I found her. Thank you Alexa! Read about useful bookkeeping and payroll tips & tricks, as well as, announcements and updates you should know about. Learn about products apps Add Insight has vetted that could save you time and money. 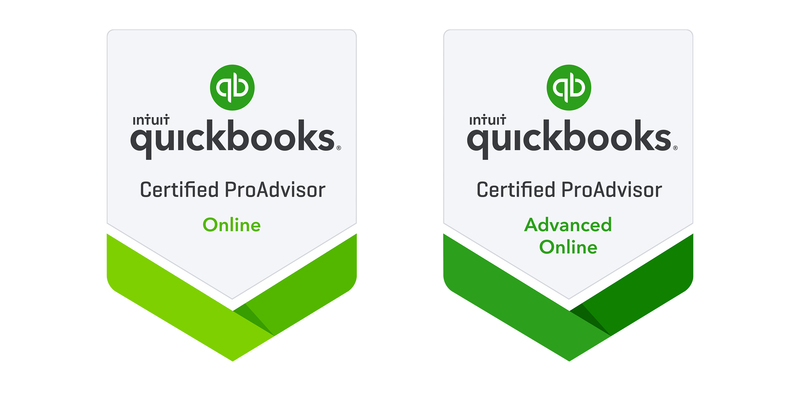 Add Insight provides bookkeeping for small business using Quickbooks Online. Cash Flow? Where did the money go? Tips for Getting 2018 off to a Good Start!